Item: 10_Fans_Black_Eyed_Stella added to cart! Add $62.05 to your cart to qualify for Free Shipping! 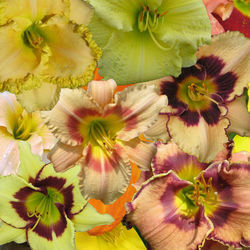 Assorted lots are a selection of our most popular and bestselling daylilies. Our assorted fields are monitored and constantly being upgraded to ensure you will receive a nice selection of colors and sizes. You will get mature, individual assorted fans. Assorted fans are not individually labeled. 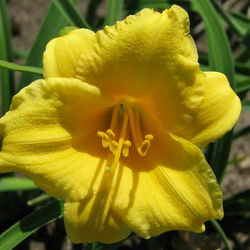 Stella de Oro is by far America's most popular daylily and almost always used in all landscape projects with any daylily selections. It's highly valued as a compact most reliable rebloomer with preference for full sun yet excellent tolerance for shade, and dry conditions, making it a hardy plant that requires little maintenance. Stella de Oro is our best seller and Smokey's Gardens is one of the largest growers with over three million plants in inventory allowing us to offer our customers the best prices around for small or very large orders. The Black Eyed Stella is now available for your landscaping and we believe you will agree the pricing is remarkable. The hallmark of this winner in the landscape category is its near-continuous blooming. 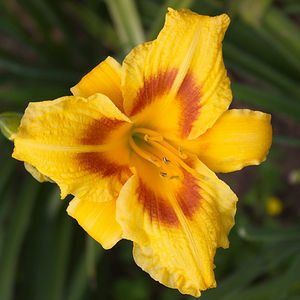 It was selected an All-America and created from Stella De Oro, the most successful Daylily in history. Black Eyed Stella was the result of over three thousand hybrid crosses. It has been rated excellent for growth in eight zones across the USA and Canada. This means it will winter well in Minnesota but also maintains bloom and foliage beauty throughout the summer months, even in southern Florida where it received some of its highest scores. With this improved heat tolerance over the parent plant, Black Eyed Stella is good news to southern gardeners as well as those in the northern states. This is a smaller, more petite dayliliy like the Stella de Oro with the flare of the red eye.